The Netherlands falls into the second category. Despite being a black market country, illegal online gambling continues to be a big problem. International operators have circumvented these laws by providing players with links to Dutch-based web domains, then redirecting them to externally operated gambling sites. Dutch gambling regulators with the Kansspelautoriteit (KSA) are fed up, and determined to crack down on the issue. However, based on the current laws, there’s not much they can do in terms of going after illegal online gambling websites. So instead, they’re threatening operators with future action, should they continue to flaunt the law. The KSA has issued a postulation to all international online gambling operators. They are urging them to institute and strictly enforce an IP blocking system to prevent Dutch-based customers from accessing their websites. Furthermore the KSA is requesting operators cease acceptance of payment processing originating from any financial institutions based in the Netherlands. 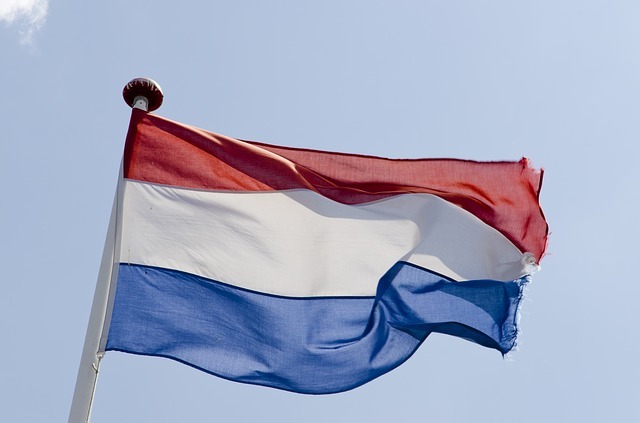 Again, the Dutch government is unable to impose any criminal penalties against illegal online gambling operators for ignoring the call to action. But they can threaten them with future action, should they fail to abide by the regulatory laws of the country. And that’s exactly what the KSA has elected to do. Operators were informed that, should they disregard the laws and continue to accept Dutch players on their websites, they will be placed on a ‘Blacklist‘. Any operator on the blacklist will be exempt from participating in a Dutch online gambling market, should the country move to legalize and regulate the activity in the future. At the moment, the path to regulation is dim. However, the KSA is taking strides to bring about changes in the existing laws, and they’re using the most persuasive tactic in the book – children. Alongside the threat towards operators, the Dutch regulatory body also announced they are initiating an investigation into the use of illegal online gambling sites by minors. Underage gambling is something no politician would scoff at, and if the KSA comes up with evidence that minors are obtaining access to these websites, legislative change is sure to follow. Which direction the Netherlands will go is still up in the air. They could attempt to tighten the reigns on existing restrictions, creating new government bodies to oversee the problem and enforce penalties against offenders. It’s a common route, but not 100% effective, and has never really stopped determined black-market operators in other jurisdictions. The only proven way to keep illegal online gambling sites from accessing a market is to legalize and regulate the industry. Only licenced operators who abide by the laws – no matter how strict – would be able to accept Dutch players. We’ve seen this work in several jurisdictions throughout Europe and the United States already. But for the moment, it’s a guessing game as to what will happen next. It’s true, several Canadian provinces moved to regulate online gambling since the turn of the millennia, yet we’re still seen as a grey market by international operators. The problem – I believe – is the ring-fenced nature in which British Columbia, Ontario and Quebec opened their doors to iGaming (and a few other laws surrounding the situation). These jurisdictions do not allow competition. Only the province can operate a single, government-run online gambling website. And the laws are so restrictive that some types of betting – straight up sports bets, for instance – aren’t permitted. Even bonus promotions, which international online casinos are so well known for, aren’t permitted. This creates a highly attractive market for international online gambling sites to infiltrate, and provinces have no legal authority to stop them. In Canada, it’s only illegal for operators to “advertise” services to Canadians. If the Canadians happen to come to them without being coerced, that’s no fault of the operator. The Criminal Code of Canada would have to be revised in order for provinces to go after what they call illegal online gambling websites. Until then, Canada will remain a flourishing grey market for international operators.